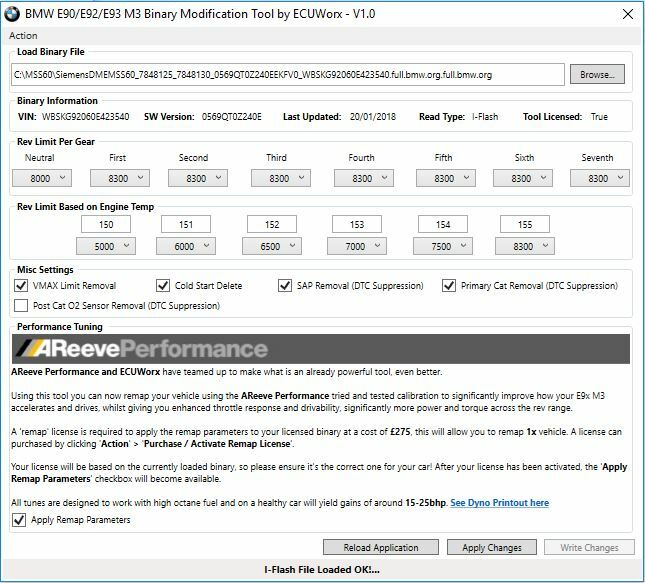 ECUWorx are pleased to finally announce that development and testing of the BMW E90/E92/E93 M3 Binary Modification Tool is complete. The tool is now ready for release! The Tool supports reads from Alientech Kess V2, Frieling Racing I-Flash and finally Flashtec CMDFlash. A special thanks to AReeve Performance for allowing us to include their performance tune in the software.